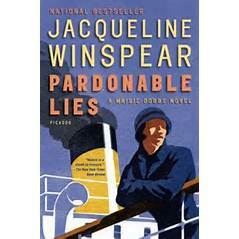 Jacqueline Winspear is the author of the nationally bestselling Maisie Dobbs series, which I highly recommend. Recently I was able to ask her this question…..The covers of your novels by artist Andrew Davidson are what first brought me to your work. I don’t bother to pick up a book if the covers don’t appeal. Then I read the book blurb, and with key words that resonate, I read the first few lines of the book. Would love to know how you began your association with Davidson, and anything you would care to share about how you work together? Thank you for this question – I love Andrew’s work, for he is both an artist and a craftsman. Those covers are actually wood engravings. Andrew was first commissioned by Penguin for the paperback covers of MAISIE DOBBS and BIRDS OF A FEATHER. When I moved publisher, everyone loved the covers so much, his work became a feature of each book. It was fairly early on that I was asked to come up with some image suggestions for one of the books – I think it was PARDONABLE LIES, so Andrew and I emailed back and forth, with me sending photographs etc (he always reads the manuscript too), and since that time he has always managed to depict a cover in almost exactly the way I see it. I am extremely fortunate that my publisher, Harper Collins, encourages this collaboration, as writers often have no say regarding cover art at all. There is another aspect to the work, and that is the huge contribution of the Creative Director, who takes Andrew’s image and then pulls it all together with the colors chosen for title and text, and the layout. Archie Ferguson is the invaluable linchpin – he’s the overall “designer” of the covers. Then they go to various people within the company for comment – but there are very rarely changes. Andrew Davidson works from a dream location at the bottom of his garden, a tranquil place from which he has built his extremely successful career. He studied Graphic Design at Norwich School of Art and then at The Royal College. He is known for his craftsmanship using traditional engraving printing methods. The results cannot be replicated in any other technology and makes his work ever popular with an enviable diversity of commissions. Andrew also paints traditionally using gouache and prints block colour illustration using wood blocks. Check out my Pinterest Board on Book Covers/ Jacket Illustrators. 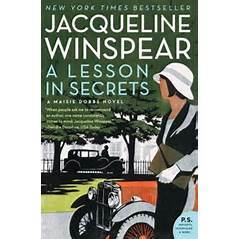 This entry was posted in A Writer's Writer and tagged Jacqueline Winspear-author, The Maisie Dobbs Series. Bookmark the permalink. 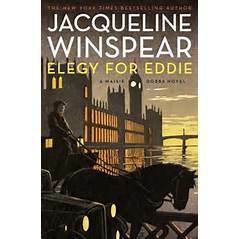 Hope you will add Winspear’s series to your “to Read” list. If you find a jacket designer you like, let me know. Thank you for leaving me your comment. Book Jackets Matter! We welcome you to the A to Z Challenge 2016. Thank you for signing up and participating in the world’s biggest group of bloggers. We’re so excited to have you with us on board. We hope you’re all geared up for the challenge. Geets, a member of A-Z co-host AJ Lauer’s wHooligan team. Ready! Enjoying this additional opportunity to visit the theme reveal day participates. I visited 100 blogs on day one. Unfortunately, first impressions count. Something that needs to be stressed next year. I took notes on yesterdays ramble. “Of No Interest” is not a good place to start. I too forgot how vital that first visit is. A blogger who writes, I don’t know what I’m doing, is not helpful. There were some sites with no theme selected though they signed up for reveal day. It is a fabulous community of interesting, knowledgeable people. The work to prepare properly is a big commitment. Suggest Reveal Theme Day develop some do’s and don’t’s to help hype up the experience. Not every theme will appeal to everyone, but sabotaging the effort on day 1 can be avoided. How interesting that her artist bases his work on wood carvings. So glad she was able to take him with her to the new publisher. 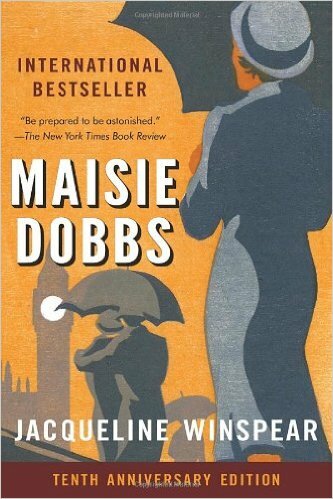 Like you, I’m a fan of the Maisie Dobbs novels. Ah, you are a mystery reader like me. I have written about other series/authors this year you might enjoy. Maybe you will have time to go back and look at the blog for other favorite authors and series for those who enjoy a well written mystery. Would love to know your favorite.